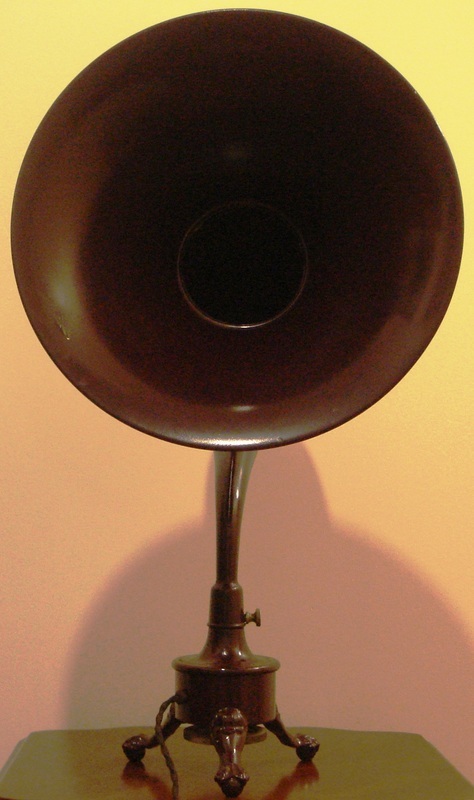 1923, Model Ethovox 750 is a magnetic horn loudspeaker. It has 14" metal flare and is finished in a dust-proof rich mahogany colour. 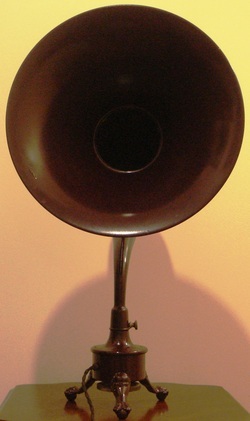 Manufactured by Burndept Ltd, London, England. Dimensions: Height 640mm x Diameter 365mm.